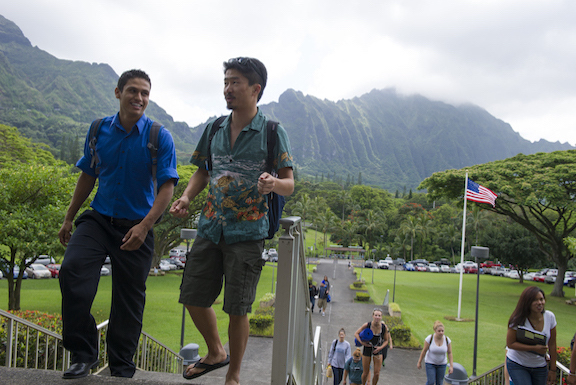 The Hawaii Loa Campus is situated on 135 acres of lush, tropical landscape at the foot of the majestic Ko'olau mountain range in Kaneohe. 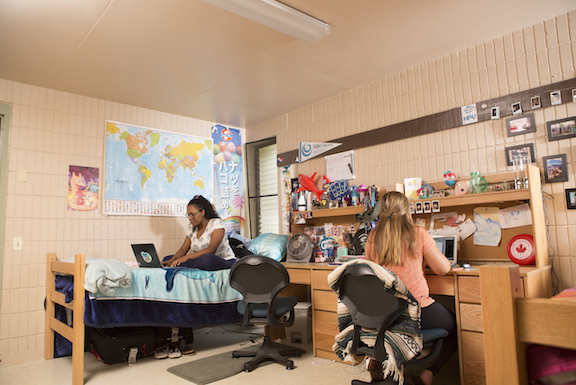 The on-campus housing complex provides full academic year accommodations (fall and spring semesters) for 192 students in six residence halls, each named after a flower within the Hawaiian island chain. Each hall is coed, and all rooms are either double or triple occupancy. An Intercampus Shuttle transports students to and from the downtown campus in Honolulu. 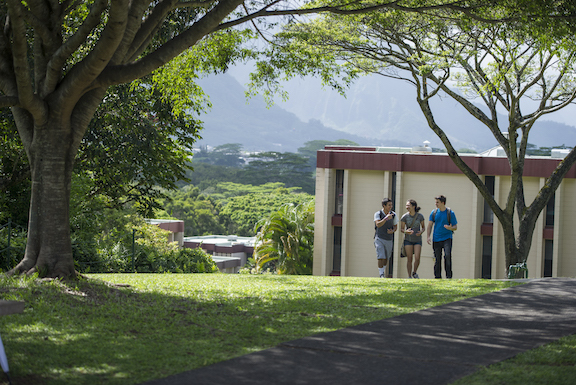 Students who choose to live on the Hawaii Loa campus may access recreational facilities that include basketball, volleyball, and tennis courts, a fitness center, and a student center. All Hawaii Loa residents are required to purchase a meal plan and eat in the Dining Commons. The Office of Housing and Residence Life provides services, programs, and facilities designed to enhance students' educational experience. This is accomplished under the leadership of the staff who assist students in developing important life skills. The Residents Activities Council (RAC) is a student-facilitated body that organizes activities to enhance the student-resident experience in university housing. Throughout the academic year, RAC sponsors periodic excursions to some of Hawaii's spectacular cultural and recreational sites, on-campus social events, and special dinners.